There are great first-time homebuyer programs available in 2019 that will help new home buyers with limited resources. Perhaps the biggest obstacle “first timers” face is coming up with enough money for a down payment and closing costs. In fact, it’s the biggest hurdle for most. But there are programs available that do not require a hefty 20 percent down payment and are much easier to qualify for. Additionally, some first-time homeowners may also be eligible for various down payment assistance programs. Buyers that have questions about any of the programs are encouraged to contact us 7 days a week by calling the number above, or just submit the Info Request Form on this page. The most popular loan choice for first-time buyers remains the FHA home loan program. This financing option was first introduced back in 1934 and its popularity is as strong as ever. The FHA loan only requires a minimum down payment of 3.5 percent of the sales price of the home, not 20 percent. The best part is the down payment can be gifted or come from an eligible down payment assistance program. In addition, there are no special requirements for the buyers or the subject property. Anyone can apply for an FHA loan and the property can be located anywhere. The FHA loan is also considered more lenient as it relates to credit scores when compared to conventional loans with a down payment of less than 20 percent. The minimum credit score for an FHA loan is 600 for most borrowers and debt ratios can be stretched a bit more as well. The FHA loan is one of three government-backed mortgages. The other two are the VA and USDA home loans. The government-backing means should the loan ever go into default the lender is compensated for the loss. As long as the lender followed proper FHA underwriting procedures, the guarantee will be in place. This guarantee is one of the primary reasons lenders allow a bit more flexibility as it relates to qualifying. This guarantee is financed with two separate forms of mortgage insurance. An upfront policy that is rolled into the loan amount and an annual policy that is paid in monthly installments. And like the other two government-backed programs, the FHA loan is used to buy and finance a primary residence and not used to finance a rental property or second home. FHA loan limits vary by county, but most locations are limited to around $300,000. Buyer can look up their FHA loan limit here. Please learn more about all the FHA Loan Details here. 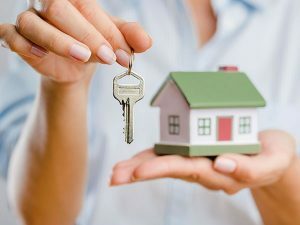 Another program available for first time homebuyers in 2019 is the one offered by the Department of Veteran’s Affairs. The VA program is offered by approved lenders and banks and one of the few 100% financing loans available today. Rates and terms for VA loans are very competitive and also comes with a guarantee to the lender. VA loans rarely go into default but if one does the lender is compensated at 25 percent of the loss. This guarantee is financed by a single mortgage insurance policy referred to as the Funding Fee. This fee can vary based on the term of the loan, whether it’s for a first time buy or a subsequent use and the presence of any down payment. For example, with a 30 year fixed rate VA loan and no money down, the funding fee is 1.75 percent of the loan amount. Closing costs are also more favorable with VA loans compared to other programs. Besides not requiring a down payment, the types of closing costs the veteran can pay is limited. Veterans are allowed to pay for an appraisal, credit report, title insurance, origination fee, recording and a survey where needed. This fee is also rolled into the final loan amount, just as with the FHA program. While not restricted to first time buyers, when you consider the no down payment feature and restricted closing costs, this greatly reduces the amount of funds needed at settlement compared to other options. The VA loan program is only available to veterans of the armed forces, active duty personnel with at least 181 days of service, National Guard and Armed Forces Reserve members with at least six years of service and un-remarried surviving spouses of those who have died while serving or as a result of a service-related injury. This program is used to finance a primary residence only. VA loan limits mirror those conforming loans. Please read more about VA mortgages here. The United States Department of Agriculture also has its own loan program referred to as the USDA home loan. This program was introduced to help those finance a property in rural or semi-rural areas, where conventional loans can be difficult to place in some instances due to the lack of recent sales of similar properties in the area. The USDA establishes where these properties may be located in order to be eligible for a USDA loan. Just like the VA program, the USDA loan is also a NO down payment, 100% loan and comes with a government guarantee to the lender. Should the loan go into default, the lender is compensated for the loss. This compensation comes from two separate forms of mortgage insurance, an upfront premium rolled into the loan amount and an annual premium paid in monthly installments. USDA loans are available to all eligible home buyers, not just first time buyers. There are also household income limitations the applicants must meet which generally at 115 percent of the median household income for the area. Note this is the entire household income, not just the income from the applicants that appear on the loan application. When calculating maximum household income, income from all wage earners living in the property 18 years or older would be counted. The more qualifying household members, the lower the income limits. There are also eligible income deductions for children living in the property under the age of 18. In order to qualify for a USDA loan, both the borrowers as well as the property must be approved. It’s best you speak with your loan officer before you begin a serious search for a rural property to make sure you understand how much you can qualify for, where the property can be located and household income limits. This prequalification can initially be done over the phone and its’ best to have a property address ready as well. Your loan officer can plug in the address to USDA’s system to see if it is located in an eligible approved zone. Unlike the other two government-backed loans, there is only one loan program available, a 30 year fixed rate loan. Home buyers will find this list of detailed USDA FAQ’s helpful. All three of these programs are an excellent choice for first time buyers in 2019. Which is better? That really depends upon which program the borrowers are eligible for because all three have their own requirements. For someone that is eligible for a VA loan and wants to come to the closing table with as little as possible, this program is probably the better choice of the three. VA is also the only loan that does not require monthly mortgage insurance. For rural properties, the USDA loan fits perfectly well. If neither of these programs fit due to eligibility requirements, the FHA loan program is extremely popular due to its relaxed lending guidelines and low down payment requirements. 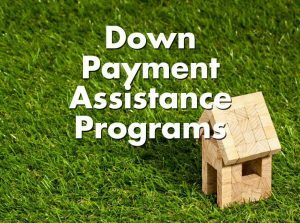 Down Payment Assistance programs, or DPAs, are available to many first time buyers. Qualification for down payment assistance is often limited to home buyers who have not owned a home in the last three years and also meet certain monthly income limitations. There are two primary types of DPA – a grant and a lien. A grant is just what the name implies- funds are given to the borrowers for the purpose of helping out with a down payment and/or closing costs. 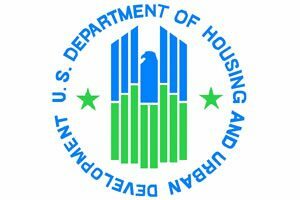 The grant is often issued by a qualifying non-profit housing agency. A lien means the agency issues needed funds, places a lien on the property in the amount of the loan yet monthly payments are not required. The funds are later paid off when the borrowers sell the house. Many of these liens no longer need to be repaid if the borrowers have been in the property for at least three years, but different programs will have different guidelines. Buyers can often check with a local real estate agent, or with their state, county, or city services for more information on DPA or bond funds. Questions? Please connect with us by calling the number above, or just fill out the quick Info Request Form to speak to a specialist today.